All but one of these photos were taken on the grassy hillside above Sandy Wool Lake in Ed Levin Park, eastern Santa Clara County, on the slope of the Diablo Range. The first four, taken in early spring, show adult birds in still relatively fresh plumage. 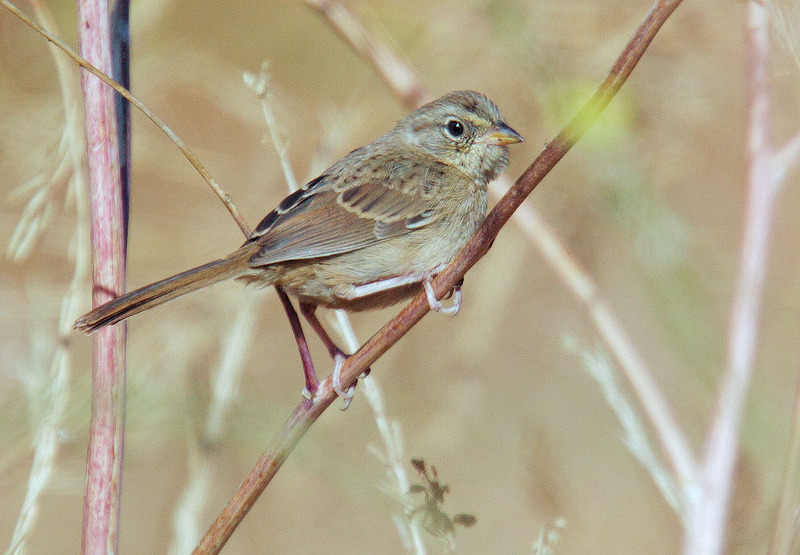 the next two, in mid-summer, show worn plumage. 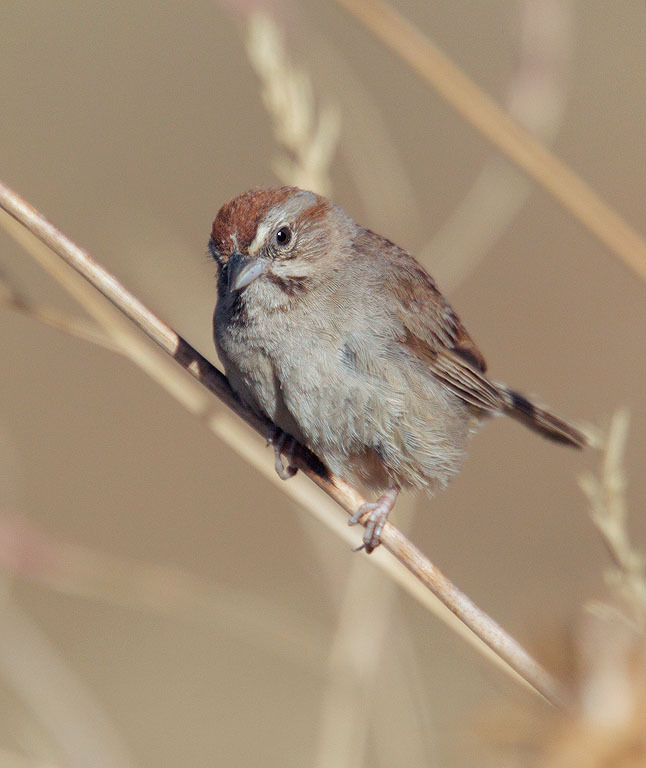 The last four, also in mid-summer, give relatively rare photographic views of Rufous-crowned Sparrows in their cryptic and briefly-held juvenal plumage. 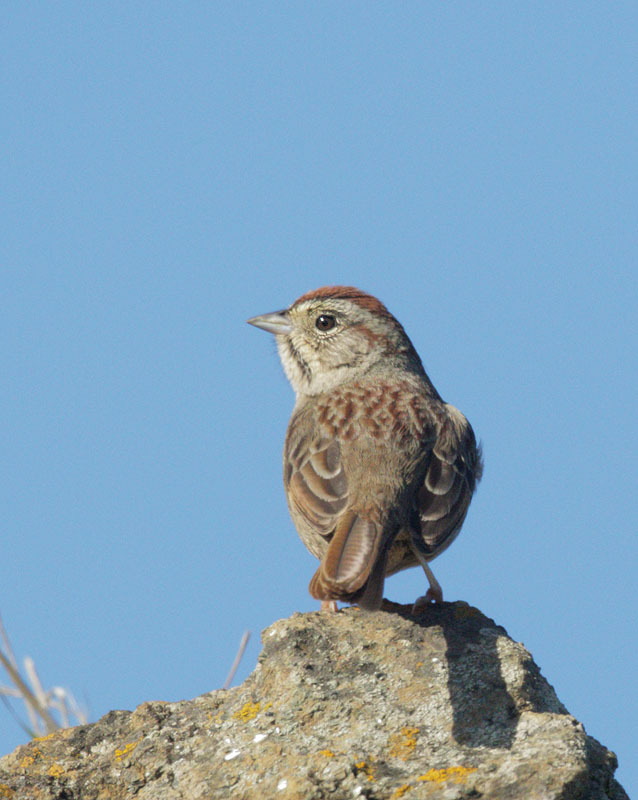 The birds above and below, in only moderately worn early spring plumage, show distinct rufous striping on the back, and well-defined white linings to the primaries. wing linings mostly blurred out. 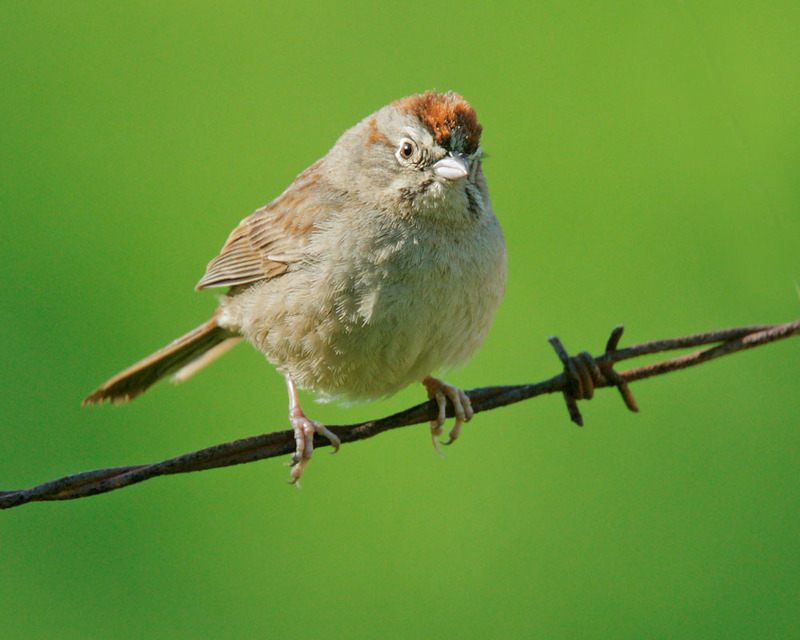 The juvenal plumage of the Rufous-crowned Sparrow typically lasts only into late September, and as these birds mostly stay low in the grass during this period, is not often seen and much less often photographed. 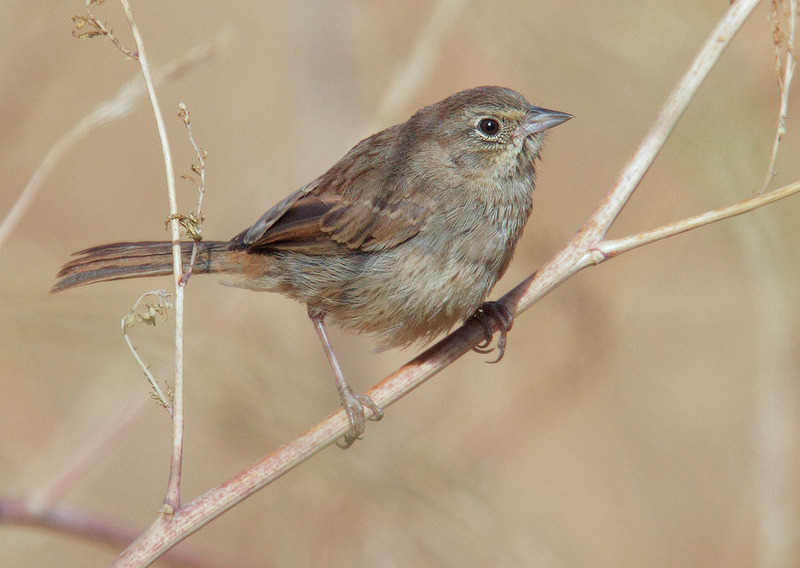 Notable features are the absence of any rufous in the crown, the presence of rufous in the tail feathers, and streaking on the breast and flanks. 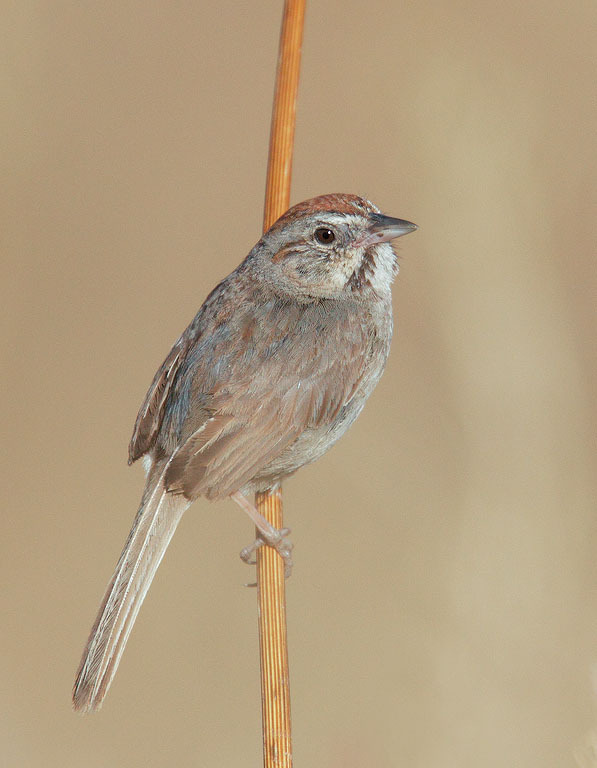 Brad Schram has a good discussion of this plumage in Western Birds. 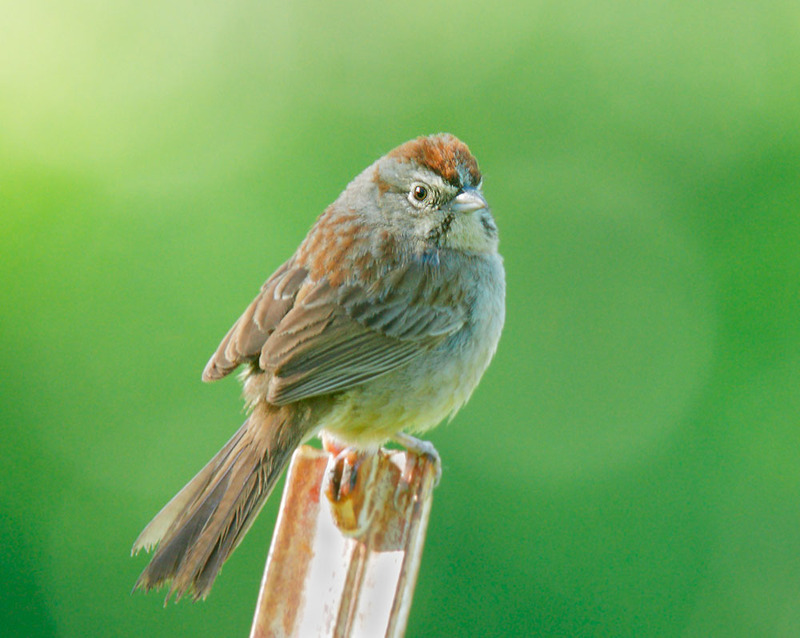 The bird in the pictures above and below has an all-gray bill, in contrast to the juvenile first shown, which has yellow in the bill. Though the birds popped in and out of the grass as I was photographing them, I did see two at the same time, so there were at least two. The frontal view shows the streaking on the underparts, and the faint light-dark brown streaking of the crown, with a short paler central stripe. 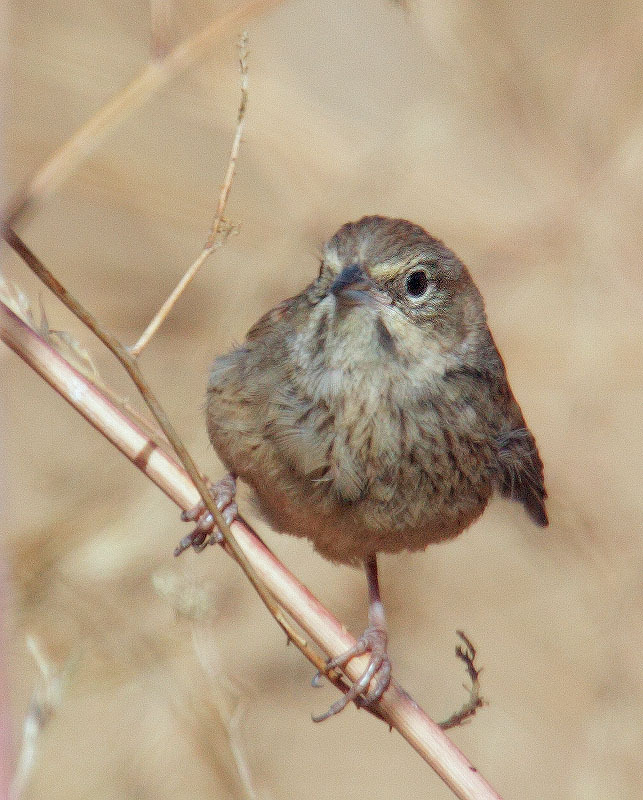 Note in this picture as well as the others that the darker brown eye-stripe, which will be rufous in the adult, breaks the white eye-ring in the rear. 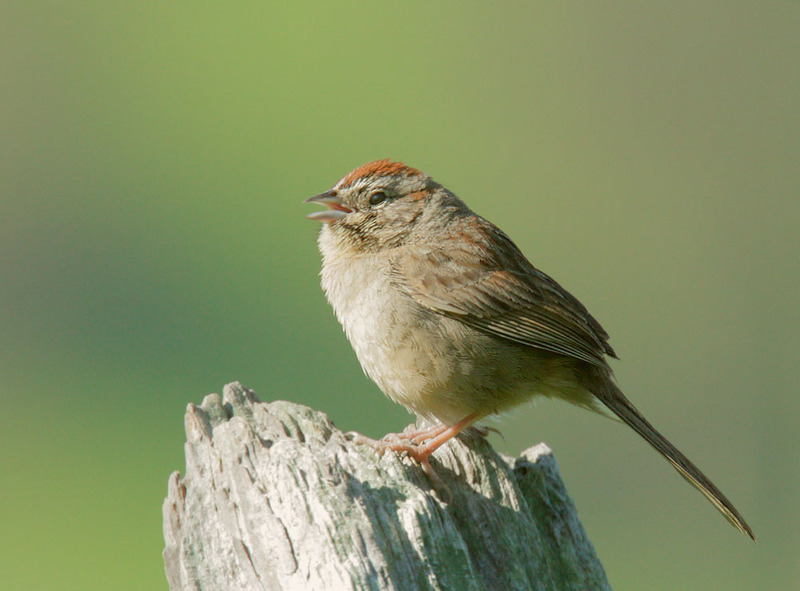 This bird appears to have a partially yellow bill, like the juvenile first pictured. 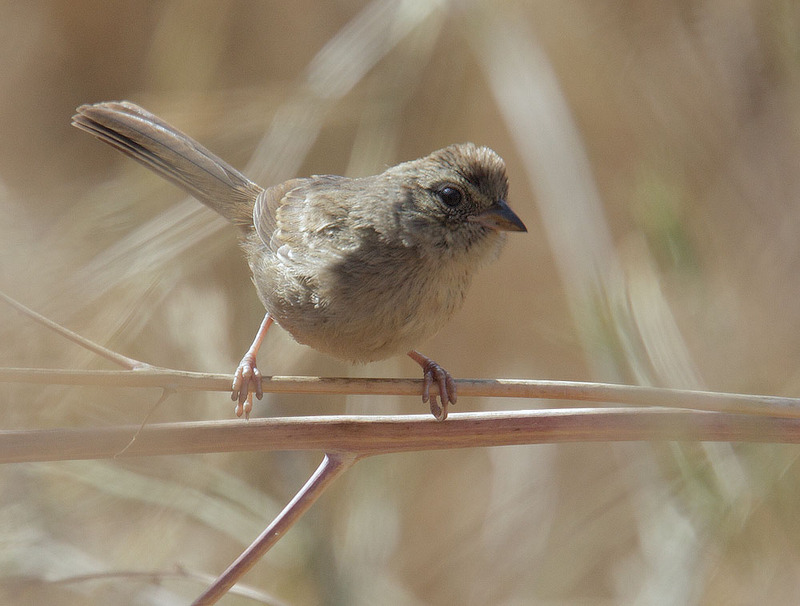 But unlike the birds in the other three pictures, this one shows no rufous in the tail; I suspect it is a third juvenile bird in the same family.